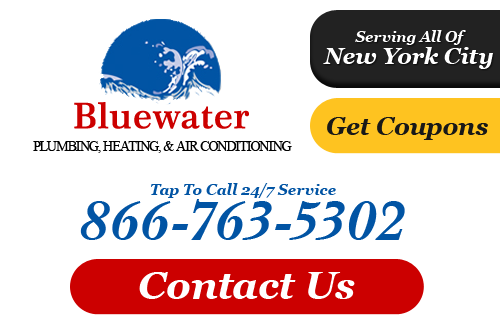 Bluewater Plumbing, Heating, and Air Conditioning provides a variety of plumbing, heating, and air conditioning services to both residential and commercial properties throughout all of New York. If you don't see your location listed in our service areas below, please give us a call. We'll be happy to learn more about your service request, and see what our professional New York plumbers and HVAC specialists can do to help. If you need a professional New York plumber in Queens, NY or any of the above service areas, please call 866-763-5302 or complete our online request form.